Since the purpose of using a long-lasting lipstick is to remain on your lips, removing it requires a little more effort than with conventional lipsticks or other makeup. With cleansing techniques specifically developed for your lips and beauty products that you probably already have at home, you can remove that lipstick without getting frustrated and without rubbing your lips. For this, we give you 15 tips to remove long-lasting lipstick. Long-lasting lipsticks are almost impossible to remove by rubbing your lips. However, before starting the make-up removal process, remove it as much as possible with a cotton pad. Depending on the power of duration of your lipstick, the lip balm can work to get a little or all your lipstick. Apply a thick layer of lip balm on your lips and wait a minute or two for your lips to absorb it. With the lip balm still on your lips, wet a brush with soft bristles and rub gently on your lips with circular movements. Make sure you do it very carefully so as not to hurt your lips. The combinations of lip balm and the soft brushing of your lips will help you to eliminate the long-lasting lipstick. If the lip balm and the exfoliating method will work, you will start doing it almost immediately. Do not keep rubbing your lips if this method does not work with your lipstick color. You can hurt your lips, causing more pain or cracking more. This will not eliminate it completely. However, it will soften the color of your lipstick on your lips, which can help make-up removal products to be more effective in getting your long-lasting lipstick. If you notice that the fabric starts to work in the removal of the lipstick, then rinse it with warm water and again pass it through your lips gently. Rinsing the fabric will help you not to stain other parts of your face. Oil jelly is one of the products you can use to create a moisturizing mask that removes the most unruly lipstick. Apply a thick layer on your lips. Make sure to leave it on your lips for at least five minutes to let it absorb the product and work in the color of the lipstick. Like petroleum jelly, coconut oil will create a moisturizing layer on your lipstick that will release it and make it easier to remove. Both coconut oil and petroleum jelly get the same, so it’s up to you which one you prefer to use. Spread a thin layer of coconut oil on your lips and let it absorb for at least five minutes to soften the color of the lipstick. 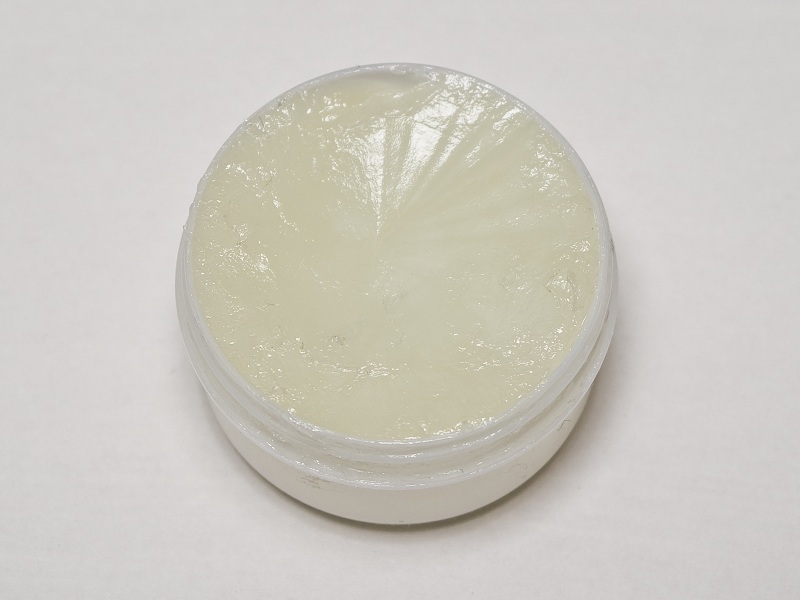 Because of its consistency, you should know that coconut oil can run and get dirty more than petroleum jelly. Although it will dry out your lips more than coconut oil or petroleum jelly, regular make-up removers will often solve the problem of long-lasting lipsticks. Eye make-up removers are very effective, especially if you prepare your lips first by applying a lip balm and then exfoliating. 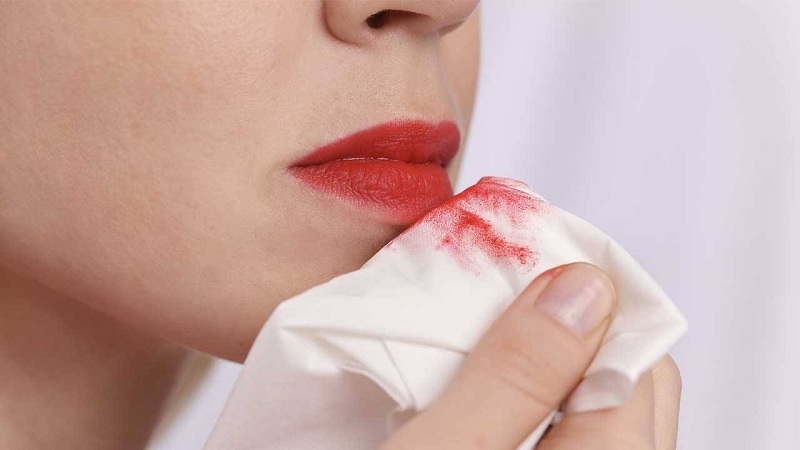 Put a make-up remover on a cotton pad or paper towel and run it through your lips, repeating the process if necessary. 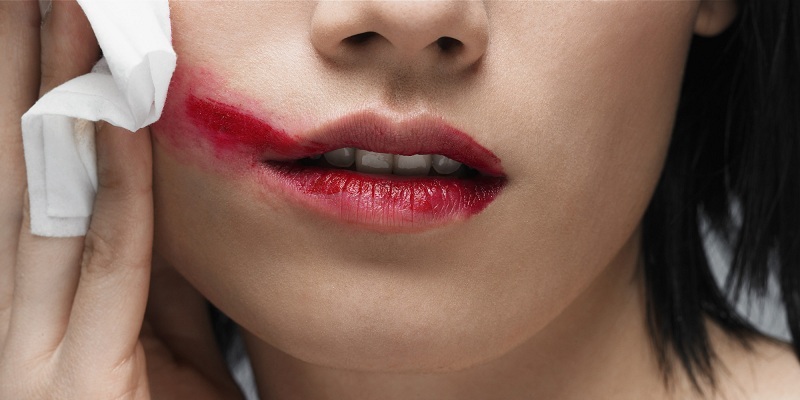 Avoid that the make-up remover enters your mouth because it is only made for external use. Sometimes, when you are on the street, you may not have coconut oil, petroleum jelly or a suitable make-up remover at hand. Lotions can act as make-up removers if you have no other choice. Although lotions are more suitable for removing eye makeup and powder base, they will be useful if you do not have any of the other options at hand. Be careful not to get lotion in your mouth. Just apply it out of your mouth. The lipstick should come off easily after applying the makeup remover of your choice (petroleum jelly, make-up remover or coconut oil). Do not do it with cotton balls, as they will dirty your lips. In addition to applying products on the outside of your lips, staying hydrated will prevent your lips from drying out and cracking. If you look with dry and scaly lips, increase your water consumption. Throughout the day, bring a bottle of water that can be refilled. 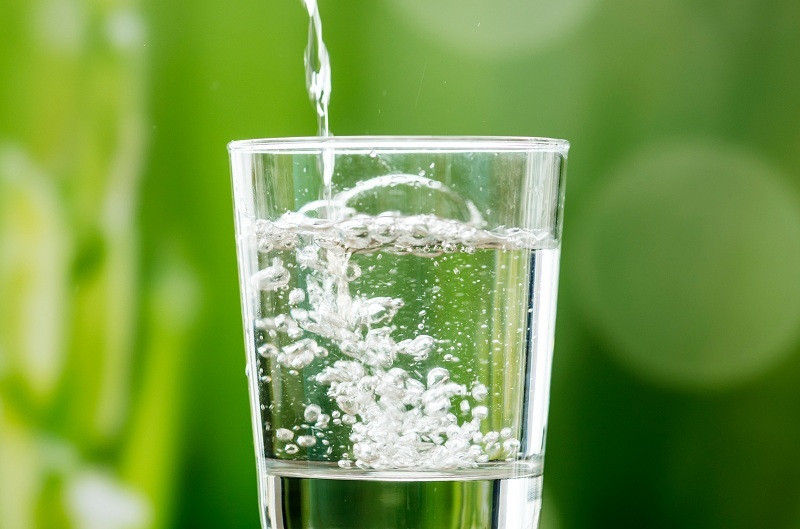 Besides being good for your health in general, staying hydrated can help with your skin and lip health improving your circulation. You can prepare a lip scrub easily with sugar, honey, and olive oil. Mixing these three ingredients will help you moisturize your lips and eliminate dead and dry skin. To prepare a homemade labial scrub, mix a tablespoon of sugar and half a teaspoon of honey and olive oil. You can modify this basic recipe to taste (that is, using more or less honey or oil) or to prepare a large batch at one time. If you decide to prepare a larger batch of lip scrub, be sure to store it in an airtight container with a lid so that the exfoliant does not dry out. If you prefer, you can add different aromas, such as mint or vanilla, to your lip scrub to get the exact aroma or flavor you prefer. Add your lip scrub to your evening routine after brushing your teeth. Making it part of your daily routine will keep your lips healthy and hydrated. 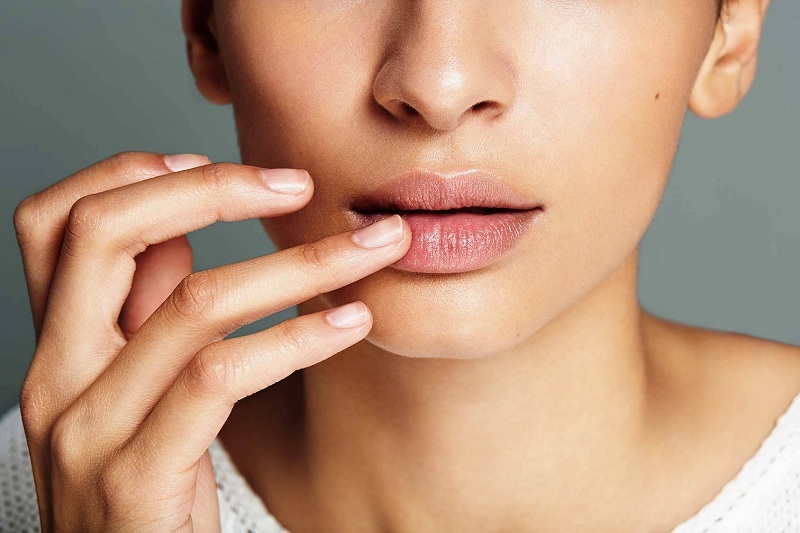 Specialists recommend using a lip scrub at least once a week and more often if you have very dry lips. Apply a lip balm or moisturizer to restore the moisture of your lips. Re-apply it if necessary, especially if you use a matte color frequently because it can dry lips a lot. These lipsticks usually dry out the lips a lot and are difficult to remove. If you love how these lipsticks look, use them alternately with moisturizing lipsticks. It is easier to remove the lipstick from hydrated lips than from dry, scaly lips. If you decide to use a matte lipstick, be sure to moisturize your lips completely before applying it. Look for a natural lip balm with aloe vera and vitamin E. These components in natural lip balms protect and moisturize the lips without creating a luster on your lips that may interfere with the matte lipstick. If you have a very rebellious lipstick color that does not come off easily, then maybe you should leave your lips for a moment every time you take off your lipstick. Do not rub them so much that you feel them raw. We hope you will like these tips to remove long-lasting lipstick. We want your comments and suggestions to improve our ideas. Thank you and have a nice day!